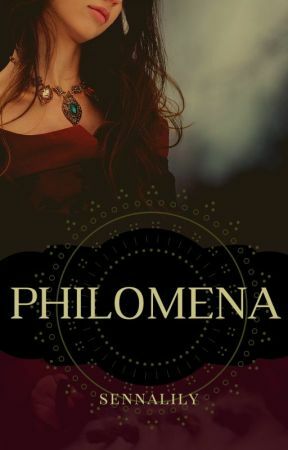 Philomena crossed her arms over her chest. "Tauber, I can&apos;t make that decision," she said. Behind her, Holle let out a stifled whine and thrashed her arm against the bedding. "I understand, my lady," said the physician, rubbing his eyes, which were rimed red with exhaustion, "but she hasn&apos;t got long. If the decision isn&apos;t made soon, she&apos;ll die." Nodding, Philomena said, "I know. Thank you." When Tauber had left, Philomena took three steps backwards and sat down on her narrow bed, looking across the tent at Holle. The air was thick with healing herbs, but they did little to mask the scent of illness. It was past the darkest part of night now. Philomena had snatched a few hours&apos; sleep that afternoon when word came that the town was secure and Rainhart and Tancred were considering how to assault the castle. That news had come with a messenger, followed in moments by a flood of wounded. Philomena thought of Cervin, who was now lying under the canvas pavillion that had been set up for the wounded, to keep them away from those stricken with war fever. He had barely recognised her. She had reached for his darkwood cuff to remove it so she could try and ease his pain, but he had become quite agitated at the prospect, so she had left him be. She heard a faint cheer and stood up, leaning towards the sound. The noise came again, and she hurried out of the tent. "Do you hear that?" she said to a guard. "Yes, my lady," he replied. "I suppose they&apos;ve taken the castle." "Oh." Philomena felt a shudder of mixed fear and relief. "Do you think so?" "I heard that someone was fixing to let them in. One of the usurper&apos;s lackeys got tired of him, or some such." "Blessed few." Philomena looked in the direction of the Traumwald path. "I need to go up there." The guard gave her a startled look. "My lady?" "I need to go to Traumwald." Philomena turned away and marched in the direction of the horses. Over the horse master&apos;s objections, she had her little jennet saddled, and made her way up the path. One of the men coming down the hill confirmed that the castle had been taken and that the King and Prince Rainhart were overseeing bringing the prisoners down. "Captured, my lady," said the man. Almost shaking with relief, Philomena galloped her horse up the hill and through the barbican into the town. She didn&apos;t need to ask anyone where to go: the castle was at the far end of the long street, lit up by bonfires. When she reached the castle gate, she dismounted and left the horse with a groom who stood tending to the soldiers&apos; mounts. "The King is in the great hall, my lady," he said. 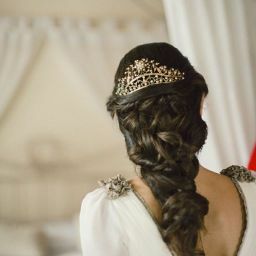 Nodding her thanks, Philomena made her way into the castle and through the grand staircase into the great hall. On the threshold she stopped for a moment, taken in by the room. It had a high ceiling, the dome painted blue and speckled with stars, the stone walls painted white and braced with carven wood. Darkwood, she thought,although in the torchlight it was not possible to tell. Down the centre of the room was the great banqueting table. It was laid out with shrouded corpses. "Philomena," said someone, and there was the sound of metal clanging against the stone, then Rainhart was in front of her, sweeping her up into his arms. She put her arms over his shoulders and let him pull her up off her feet. "I&apos;m so glad you&apos;re all right," she said into the hair at the nape of his neck. "Traumwald is ours," he said. He set her down, wincing.